(VIDEO) HSH Prince Albert II of Monaco Attends an Award Ceremony at the Yacht Club de Monaco. 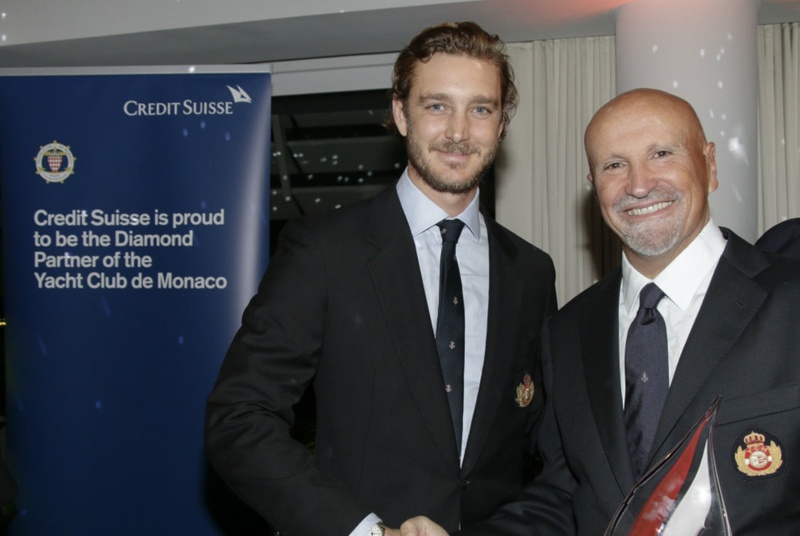 On the evening of December 20, 2016, His Serene Highness Prince Albert II of Monaco accompanied by Mr. Pierre Casiraghi attended the 2016 Yacht Club de Monaco Trophée Credit Suisse Awards held at the Yacht Club de Monaco in Monte-Carlo. During Tuesday night’s ceremony the sovereign prince presented the 2016 Sailor of the Year award to Mr. Vincenzo Onorato. The well-known Italian sailor recently won the Melges 32 European Champion as well as the 2016 Rolex Middle Sea Race. Previous (VIDEO) Members of the Dutch Royal Family Attend the 2016 Prins Claus Prijs. Next (VIDEO) HSH Prince Albert II of Monaco Attends a Gala at the Automobile Club de Monaco.